Every once in a while a shot just presents itself. I caught this photo while travelling through Perry Florida. 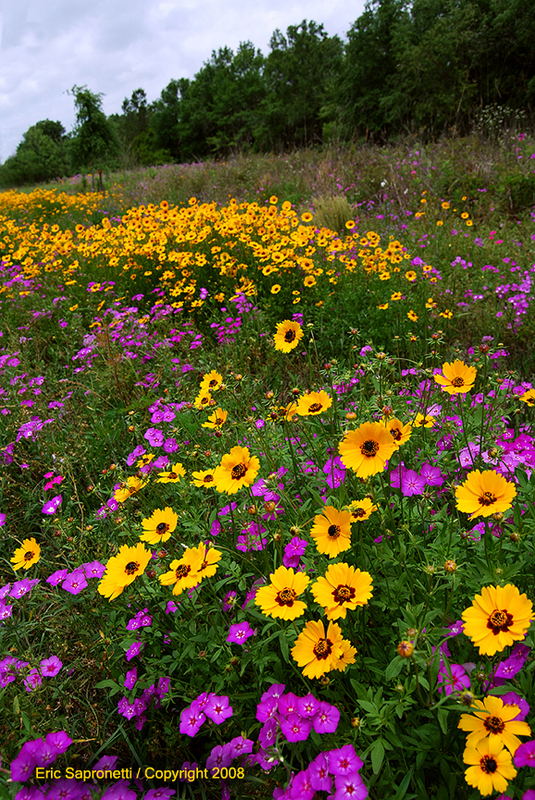 These playful flowers were simply strewn beside the road in a riot of color.